Save Karim to your Collection. Register Now! Karim Hamid was born on 31 July, 1966. 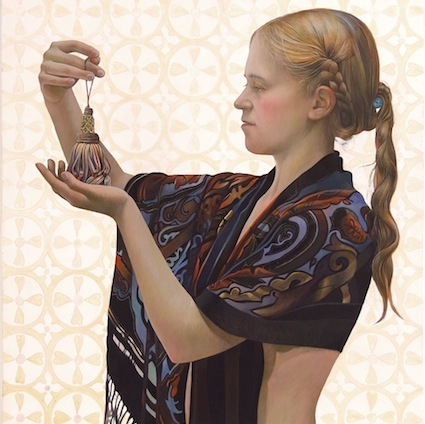 He received a BFA from Brighton University in 1990 and an MFA from San Francisco Art Institute four years later. Hamid’s concepts are based on the visual dialogue between representations of the female figure and the male gaze throughout (art) history. The distortion and exaggeration of the human body are his attempt to reinvent the female form and a reproach of an onslaught of media superficiality that promotes idealization and objectification of women, he explains. 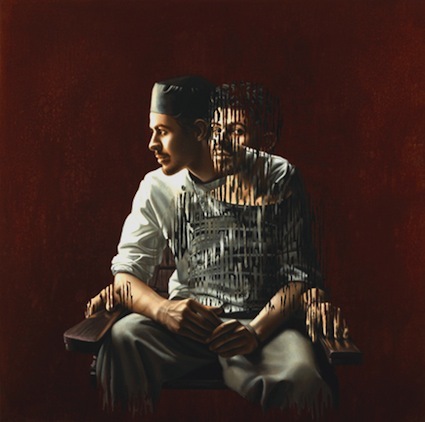 Using unspecified found imagery and paint, Hamid endeavours to capture the psychological state of his subject in an honest and truthful manner, which he refers to as ‘broader composure’. His work has been exhibited across Europe and the United States. Similar in feeling to Myles Murphy, Euan Uglow and Richard Diebenkorn, were any of them influences? Love the portrait of Chuck Close, top work! Very well done. Action and mood paused for the second we take to stop and try to understand what's happening. Colors to match any decor. Sorry, that's a painter's joke. It's extremely interesting and makes you think! wow- IMHO the best artists use artistic skill to convey emotion. This is pure visual emotion and my highest compliments on perfecting that craft. After visiting the site... tho I respect the raw honesty of the work... not so sure I would ever want to be alone in a room with the artist. Love the coffee lady, except for the right eye peeking through the bangs. It's WAY too far off to the side of her head. Otherwise, great picture.